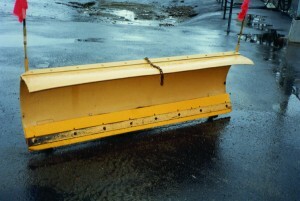 Why Use Polyurethane Cutting Edges on Snow Plows? For demanding applications we recommend using 1-1/2″ thick cutting edges. 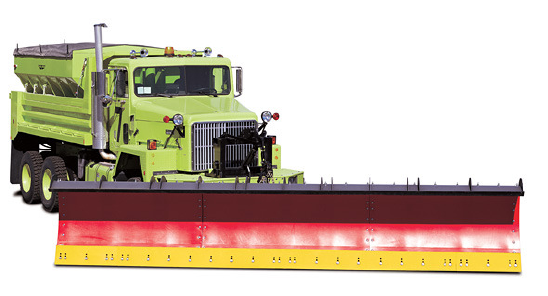 We recommend using 1-1/2″ vs. 1″ cutting edges for plows 102″ or larger. 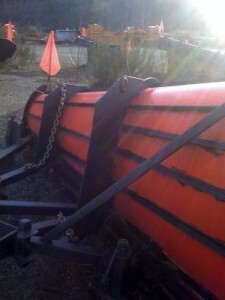 To maximize the life of your cutting edge skid shoes should be utilized. 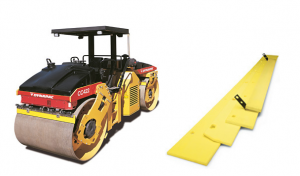 If skid shoes are not being utilized, a 1-1/2″ cutting edge should be used. Plowing speeds in excess of 35 mph are not advised. 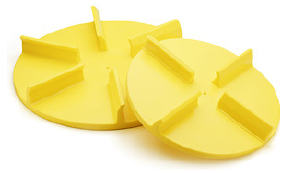 Lightweight, durable polyurethane spinners are an ideal replacement for worn stock spinners as aggregate (ie: sand, salt, etc…) will not adhere to the polyurethane surface. And unlike the metal variety, polyurethane spinners resist impact damage and will never rust. Open hub or Closed hub, most configurations available. Downtime and performance are two of the most important factors with any construction equipment. Let our experience work for you. 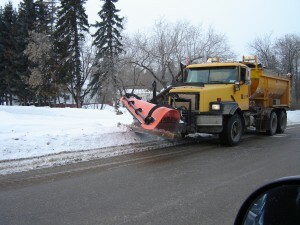 Other snow removal products include: plow liners, snow plow edges, urethane cutting bars, salt spreader spinners and sand spreader spinners.